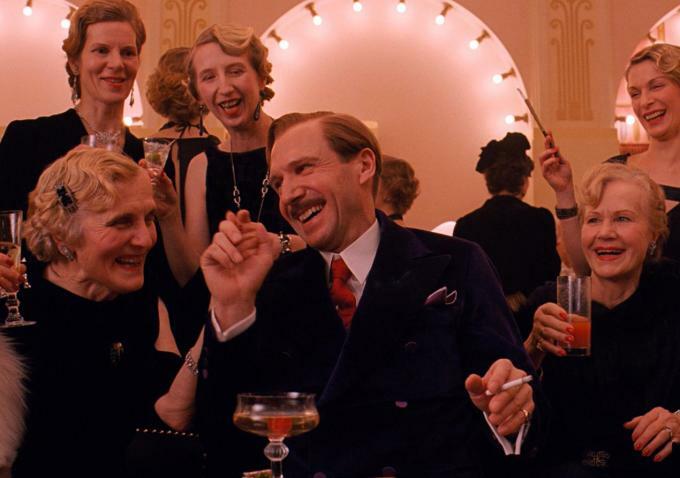 A Lego Movie snubbing and Grand Budapest Hotel grabbing six craft noms highlight my Oscar analysis. 1. It just goes to show how competitive the race was for the committee to overlook Lego’s considerable merits, instead going for Disney’s Big Hero 6, Laika’s The Boxtrolls (the real stop-motion deal), DreamWorks’ How to Train Your Dragon 2, as well as the two acclaimed hand-drawn indies, Song of the Sea and Studio Ghibli’s The Tale of the Princess Kaguya (both from Gkids). All five are impressive, running the gamut of techniques with fine storytelling about various rites of passage. Now it’s a wide open race. But here’s a fun fact: no animated feature has won best picture without taking BAFTA, which bodes well for Big Hero or Boxtrolls, if the streak continues. 2. As for the craft races, it’s about time they all got announced during the live broadcast with the help of celebrated directors Alfonso Cuarón and J.J. Abrams. Not surprisingly, Wes Anderson‘s beloved best picture nominee, The Grand Budapest Hotel, led the way with six noms (cinematography, production design, costume design, original score, makeup and hairstyling and editing). Budapest is a visual and musical feast, as Anderson lovingly revisits Stefan Zweig and Max Ophuls in his absurd and touching black comedy. Where is there room for craft and grace in a war-torn world gone mad? Ironically — or tragically — it’s as relevant as ever. If only life could go on forever in this opulent dreamscape: a pink hotel with a dollop of yellow butter cream and the sugary Mendel’s bakery. We’ll have to wait and see how Anderson’s collaborators fare: DP Robert Yeoman, production designer Adam Stockhausen, costume designer Milena Canonero, composer Alexandre Desplat (competing against himself with The Imitation Game score), makeup and hairstylists Frances Hannon and Mark Coulier and editor Barney Pilling).